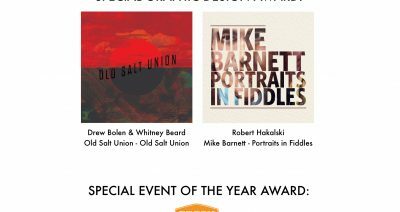 OLD SALT UNION is no road show but they are a band born, grown and cultivated on the road. 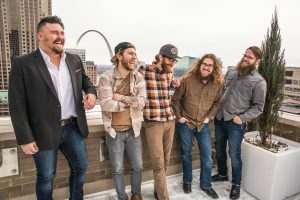 The band has made a habit of playing 200+ shows a year since forming in 2012 from club dates and theatres to festivals and special events like Bluegrass Underground, Music City Roots, John Hartford Memorial Festival, ROMP, Stagecoach, Freshgrass, and Yonder Mountain String Band’s Harvest Festival. 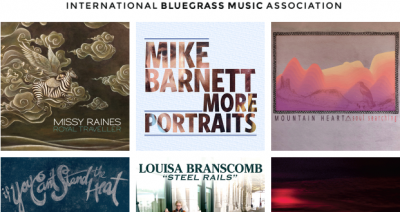 In the process, they have shared the stage with the best in bluegrass and string band music like Del McCoury, Sam Bush, Leftover Salmon, Greensky Bluegrass, Travelin’ McCourys, Jeff Austin Band, and Ricky Skaggs. Inclusion on key Spotify playlists for their single “Madam Plum” has further fueled the band’s rapid trajectory. 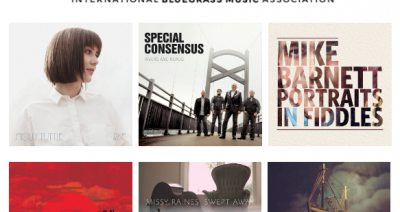 A pivotal moment emerged when the band won the 2015 Freshgrass band contest and was introduced to Compass Records co-founder, banjo virtuoso and GRAMMY winning composer, Alison Brown, who went on to produce several tracks for the band and eventually sign them to the label in 2017. With a songwriting style and magnetic stage personas that derive as much from the Great American Songbook as from Americana, their self-titled Compass debut represents a true step forward for a band with seemingly limitless possibilities.